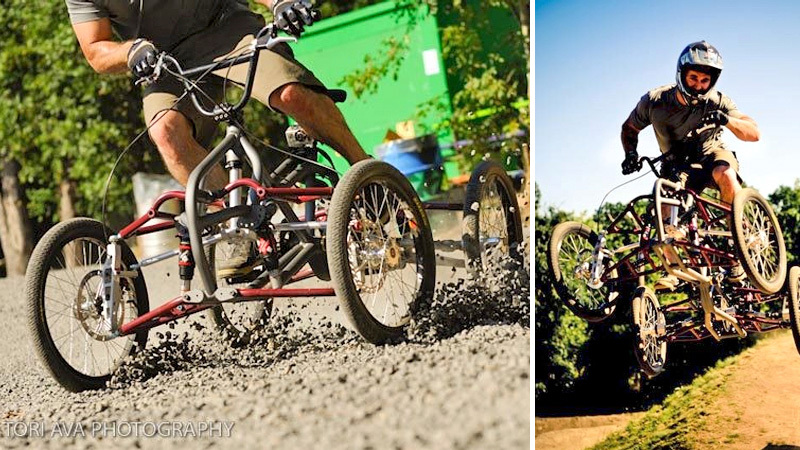 Designed for those seeking a more eco-friendly alternative to a fuel-powered ATV, or grownups who simply never learned to ride a two-wheeled bike, the Athos is a pedal-powered quad racer that looks a lot safer to ride than the sum of its parts. With four-wheel independent suspension the Athos should be able to tackle most off road courses with ease. And since you're probably not going to get it up to real ATV speeds on rough terrain, we imagine there's considerably less risk of injuring yourself on this thing.